Re: “Yukon’s northern charm beckons; Newcomers thrill to area’s rich history,” The Journal, Dec. 4. I got a real kick out of reading Andrew Renton’s travel piece at Berton House in Dawson City, Yukon, after several days of 40 below weather. 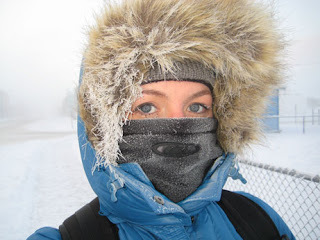 I arrived in the Yukon Sept. 23 just as a blizzard moved into the territory. Tourist season was definitely over: The SS Klondike was dry-docked; the White Pass railway was shutting down; and many spots from Whitehorse up to Dawson were boarded up, their owners having gone “outside” for the winter. Now that I’ve been here for three months as writer-in-residence at Pierre Berton’s childhood home, I feel I’m halfway between the “Cheechako” and “Sourdough” Renton talks about. I’m still excited by the Air North service and food, and now I know the de-planeing drill for refuelling on the “milk run” between Whitehorse, Dawson, Old Crow, and Inuvik (and use the “seat taken” slip like a pro). I’ve seen the Yukon River freeze up and gone to Bombay Peggy’s for season close down. I’ve done the Sourtoe Cocktail, driven part of the Dempster Highway in whiteout conditions, and spent a night at Muktuk Adventures being serenaded by 130 huskies. So far the aurora borealis have been elusive, but I’m hopeful I’ll catch a glimpse before I leave: with sunrise at 11 a.m. and sunset at 3:30 p.m., there is plenty of night sky to scan. While I’m looking forward to being in Edmonton in time for the holidays, I’m already planning a visit back “up here” next year. These northern charms are hard to resist!